The Netflix series Unbreakable Kimmy Schmidt has showed that the high-pressure world of competitive New York City private schools in ripe for satire, and now, there’s a new series offering up its own parody of that scene. 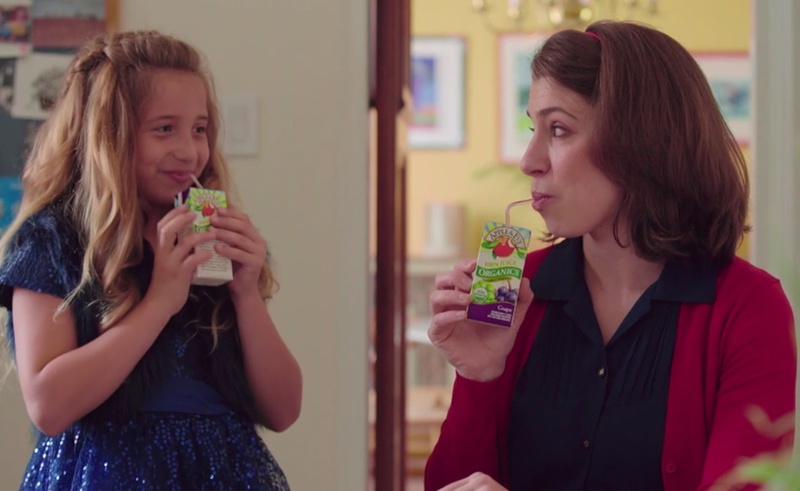 Precious Cargo, starring Lauren Singerman and Sasha Kaye (who also serve as two of the shows executive producers), is a witty send-up of spoiled children and the overbearing parents who do the spoiling. Singerman and Kaye star as Lisa and Sandy, two sisters who both offer test prep to rich children. While the kids themselves often show off their privilege in hilarious ways (one child refers to her juice boxes as “chardonnay”), the real targets of Precious Cargo are the parents. From the first scene, in which three dads discuss whether their toddlers will be doctors or lawyers, the series pokes fun at the ridiculous lengths to which “helicopter parents” will go to nurture their children. As the series goes along, viewers learn that Lisa, Sandy, and their fellow tutors are deeply flawed as well. At many points, it’s the kids who end up looking like the most mature people in the room. PRECIOUS CARGO Web Series – Ep. 1: Sisters from Precious Cargo on Vimeo. Precious Cargo‘s satire is certainly over-the-top, but the jokes aren’t so ridiculous as to make them unbelievable. Instead, Singerman and Kaye draw from their own previous experiences as tutors to give their series a degree of realism that complements the comedy and helps the two stars turn in terrific performances. The four Precious Cargo episodes released thus far can be found on the show’s Vimeo channel. Inhuman Condition. A therapist specializes in providing support for people with supernatural abilities. At Bay. This web series dives into the ego-centric world of Silicon Valley’s startup culture. Watching You. Two strangers are bewitched so that they must stay next to each other at all times.